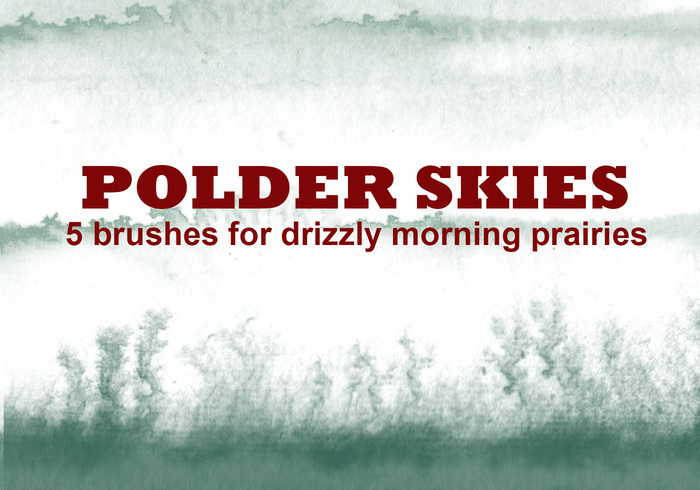 Poldersky - Free Photoshop Brushes at Brusheezy! polder |ˈpōldər| noun a piece of low-lying land reclaimed from the sea or a river and protected by dikes, esp. in the Netherlands. ORIGIN early 17th cent. : from Dutch, from Middle Dutch polre. I don't know what makes you think they are illegal. I made de brushes myself with ink, paper and brushes I bought myself. You get them here as a present and you can use them for whatever you want. No need for a read me file! I noticed you neither have a read me file nor any terms listed, does that mean these brushes are ripped off or illegal. I only want brushes that are legal. digging these a lot. Definitely good for backgrounds on websites and other design elements (cd covers, ect). Nice work. Beautiful, very subtle but can add some powerful textures ... thanks so much for creating these!!!! Love the description! :) Good brushes. Thank you so very much for the lovely brushes.